A Unified Planning Work Program (UPWP) is a required document outlining transportation planning activities performed in accordance with United States Code (23 CFR Part 450.308). The work program serves as a guide to develop and advance the implementation of plans, programs, and projects that seek to address the ten planning factors identified in §450.306(b)). Such factors include, but are not limited to: preserving and improving the transportation system, enhancing mobility and connectivity, supporting economic vitality, safety and security, as well as environmental considerations. The UPWP process provides the SWRMPO and HVMPO technical and support services which assist in selecting transportation investments and setting priorities in the region. The Western Connecticut Council of Governments (WestCOG) provides assistance in regional planning, transportation, environmental management, emergency preparedness, economic development, and municipal shared services to a region of 18 municipalities and 610,000 residents. The ideal candidate will be quick on his or her feet, be an innovative and creative thinker, and be highly motivated, affable, and reliable. Position will be filled at the Associate Planner/Planner/Senior Planner/Principal Planner, and corresponding salary of $55,000-$80,000, depending on qualifications. WestCOG offers a competitive benefits package including: health and dental insurance; retirement contributions; vacation time; personal time; sick time; flexible work schedules; telecommuting opportunities; and employer-paid professional accreditations, memberships and conferences. To apply, submit a cover letter, resume, and references to Mr. Francis R. Pickering, Executive Director at westcog@outlook.com. Selected candidates may be asked to provide additional information or to appear for a personal interview. This position will remain open until filled or closed. WestCOG is governed by a council composed of Chief Elected Officials — mayors and first selectmen. Each WestCOG member municipality is entitled to one representative and one vote on the council. Francis directs WestCOG’s staff and represents the region to partners, including state and federal agencies. Prior to joining WestCOG, he served as Deputy Director at the Central Connecticut Regional Planning Agency (CCRPA). Under his leadership, CCRPA worked to improve transportation and integrate of multimodal transportation into community planning. These efforts won CCAPA’s Innovative Plan of the Year in 2013 and NADO’s Innovation Award in 2014. 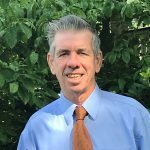 Francis is also active in the development of major regional transportation initiatives and serves on the Connecticut Bicycle and Pedestrian Advisory Board. Francis holds an M.A. in Environmental Management from the Free University of Berlin (Germany) in addition to a B.A. from Princeton University and an M.A. in Geography from the University of Connecticut. 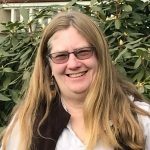 Patty serves as WestCOG’s Finance Director and is responsible for financial reporting, grant tracking and compliance, audit preparation, record keeping, and financial analysis. 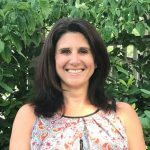 Patty has a degree in business along with over 25 years of experience in bookkeeping, office management, grant tracking, purchasing, and HR responsibilities. Prior to joining WestCOG, Vicky worked as a Financial Analyst for Kimberly Clark Corporation for 9 years. She received a B.S in Accounting and Management Information Systems from the University of Wisconsin Oshkosh. Vicky’s primary responsibilities include organizing office operations, correspondence, and meeting coordination and preparation. Kevin is a civil engineer with over 30 years of experience in the transportation field. He was previously employed with the Connecticut DOT, Federal Highway Administration, the Pennsylvania State University and in consulting. He is a registered Professional Engineer and Land Surveyor. 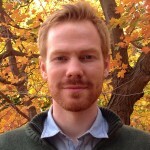 Mike oversees the GIS and Analytical efforts for WestCOG. 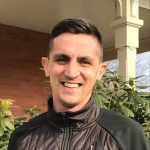 Mike has an interest in modernizing municipal processes to provide better improved public access to data, increased web security, and engaging data visualization. He received a B.S. in Environmental Science from the University of Massachusetts, Lowell and a M.S. in Geography from Clark University. Kristin assists with transportation planning services at WestCOG, including management of corridor studies and development of the region’s Long-Range Transportation Plan. 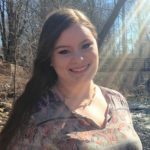 Prior to joining WestCOG, she worked in transportation planning at AECOM and the Central Connecticut Regional Planning Agency assisting with road safety audits, transit and rail studies, and data analysis. Kristin graduated with a B.A. in Geography with a specialization in Planning from Central Connecticut State University. Nicholas supports the planning staff with environmental management and transportation projects. Prior to joining WestCOG, he assisted the GIS staff at Joshua’s Tract Conservation and Historic Trust with their trail mapping project. He graduated with a B.S. in Geography from the University of Connecticut. Kristin supports the transportation planning staff on core projects, additionally she managing the regional traffic counting program and the Snow Removal Operations, Management and Routing study. She graduated from the University of Connecticut with a M.S. in Transportation and Urban Engineering and a B.S in Civil Engineering. Prior to joining WestCOG, Kristin worked on projects relating to street design, street networks, signage, as well as a historical land use and transportation analysis. 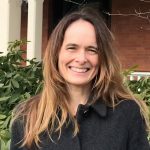 Kristin is passionate about helping make sustainable and livable communities in Connecticut. 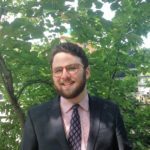 Will works on a variety of tasks for the Council including public health, emergency management, economic development, Section 5310, the WestCOG Foundation, Inc. Before joining WestCOG, Will earned his A.S. in Marketing from Naugatuck Valley Community College, and B.S. in Public Health Sciences from UMass Amherst. Will has worked in politics, with people who are homeless, as well as on projects to tackle issues related to food accessibility. Nicole supports the Planning staff on administrative, legislative, and transportation projects. 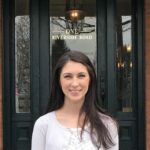 Prior to joining WestCOG, Nicole worked at Joseph Merritt & Company in Danbury, Connecticut. Nicole graduated with a B.A. in Political Science from the University of Connecticut in Storrs and studied abroad in Ireland at University College Dublin. Ariana supports transportation planning services at WestCOG. Prior to joining WestCOG, she worked in the insurance industry and in human resources. She also managed routing and schedules for a paving company and as a Product Specialist. She graduated with a B.A. in Anthropology from Princeton University. 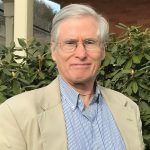 Charles has over 40 years of experience in planning and government, including as the Principal Planner at the Council of Governments of the Central Naugatuck Valley, where he developed plans, regulations, and legislation related to regional and local planning. He has also served as Manager of Environmental Programs at the United States Postal Service Northeast Region, where he supervised the permitting, environmental review processes and government relations work for a $2 billion annual facilities program; at the national level he served in various capacities including as Incident Commander at the USPS’ Unified Incident Command Center, where he was responsible for anthrax response and coordinating Hurricane Katrina response efforts; as Manager for Corporate Sustainability Initiatives at USPS Headquarters, where he oversaw initiatives at 32,000 post offices nationwide; and as a visiting scientist at the Harvard School of Public Health where he conducted research and lectured on quarantine and the challenges of controlling communicable disease outbreaks. Charles has received numerous honors and distinctions, including awards from Presidents Clinton and George W. Bush and Vice President Gore. Paula is a recreational trail advocate and planner with over 30 years of experience. Has served as Director of the Appalachian Mountain Club, Founding Member and current President of the Housatonic Valley Chapter of the New England Mountain Bike Association, downhill and cross-country bicycle instructor and guide, camp director, as well as 34 years as a high school teacher in Seymour. Paula will work on planning and development of recreational trail systems. 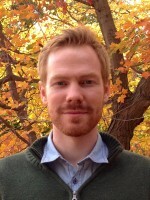 Sam is a CT Licensed Professional Engineer (PE). 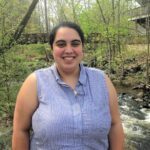 Has worked as a Civil Engineer at Dubois & King, Highway Design Engineer 2 at ConnDOT, Senior Associate (Transportation) at the Project for Public Spaces, and Project Engineer at Street Plans. Sam will complete our required Congestion Management Process report, expanding the process to include identification of locations for future interventions and development of design concepts/alternatives. A goal will be to produce a pipeline of future projects for federal and state funding. Holly is a Transportation Planner with over 20 years of experience. Holly worked in Eugene OR at Lane Transit District – where she established a successful vanpool network. She spent a large portion of her career initiating programs at Harvard and Yale that resulted in improved transportation options for commuters. Holly was a Senior Transportation Coordinator at TransAction Associates and a Principal at Nelson\Nygaard Consulting Associates. 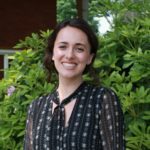 Most recently, Holly has been focused on the micromobility sector as Director of Business Development at NOA Technologies Inc., and consulting to Lime. She is Founder/Owner of Less Road Traveled, LLC. Holly will work on regional/local wayfinding and pedestrian/cyclist plans.